It would be great if YouTube videos can be displayed in full screen mode in the app. I agree! Full screen mode works perfect on iOS apps, but not Android apps. Our Android users miss this feature a lot! 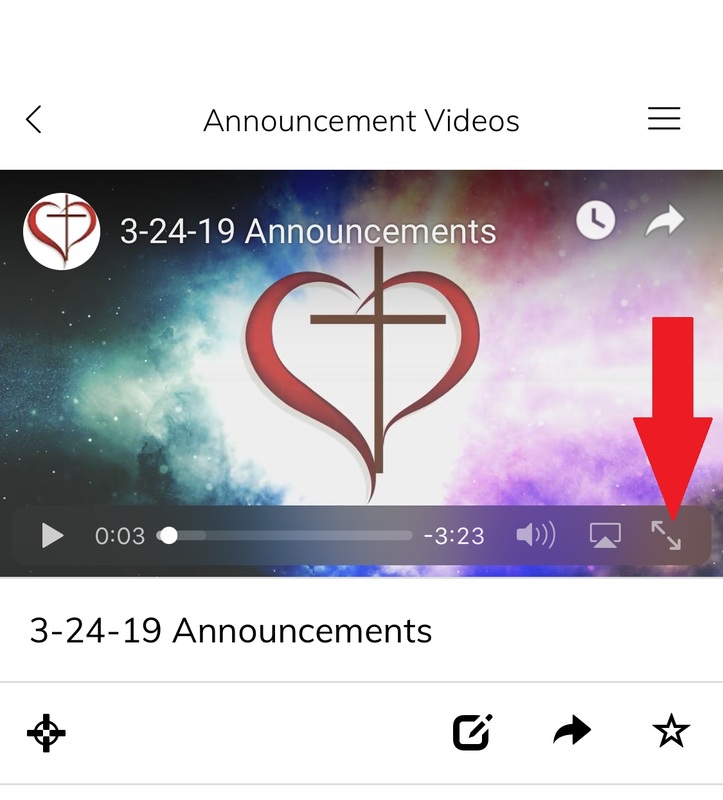 I am able to play Youtube videos full screen in our App... we mostly use Vimeo in our App, but we do use the Youtube plugin for an announcements playlist and it works most of the time (like most plugins, it occasionally crashes the App, etc.). Full screen is supported. See screenshot - red arrow points to the full-screen controls. Default behavior, when a Youtube video plays is that it goes full screen on it's own. @Timothy Amey: iOS I guess? Works great on iOS, but not on Android apps unfortunately. @Gjermund Johre: I will check on Android Sunday - but that might be the case. I was definitely testing on iOS.